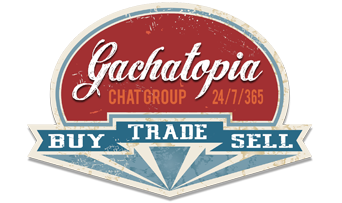 We wish the Gachatopia Chat group to be a social place to talk about gacha, trade, sell and buy items from any event or machine on the grid. We do not want chat to become a drive by spam group for random yardsales. This is not a yardsale advertising group. With that said, here are some guidelines for Gachatopia chat. Gacha Only – If you have more than a few items, list your gacha items for sale or trade on a Google Document. Google documents are the only links allowed in chat. Trade, sell, buy – Keep major posts 30 minutes apart, use Google Document lists only, no lists hosted on personal blogs or websites allowed. No posting slurls other than to the Gachatopia sim. No giveaways allowed. If you wish to give your items free to the group, consider donating to the dumpster instead. Simply place your items in a box labeled “Dumpster Donation” and pass it to Luly Soup. The Dumpster Dive is a giveaway bin hosted by Gachatopia that distributes a recycled gacha to group members that click on the Dumpster. Respect – Keep product criticism constructive, do not blast peoples names you think are scammers, no explicit language or content allowed, no flaming people into hateful discussions about prices, events, people, creators, practices etc. Keep the peace.